Go on a family walk. Get your friends together for a bike ride. Bring your camera and capture the mighty bald eagles during nesting season. These are just some of the many activities that you could enjoy on the North Idaho Centennial Trail. 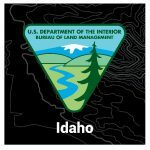 This magnificent trail is a multi-use recreational trail system, that meanders for 24 miles from the Idaho/Washington state line to Higgens Point on beautiful Lake Coeur d’Alene. We look forward to seeing you out on the trail. Your go-to source for expert outdoor knowledge you can trust. All the information you need to learn new skills, choose and maintain gear, prep for your trips and have amazing adventures. Outdoor resources such as hiking projects, mountain bike project, mountain climbing project, trail run project, and powder project. Outdoor learning skills and expert advice.